Disneyland Dream Suite 2,600-square-foot suite above Pirates of the Caribbean in New Orleans Square at Disneyland; opened Jan. 31, 2008, as part of the Disney Dreams Giveaway during The Year of a Million Dreams. 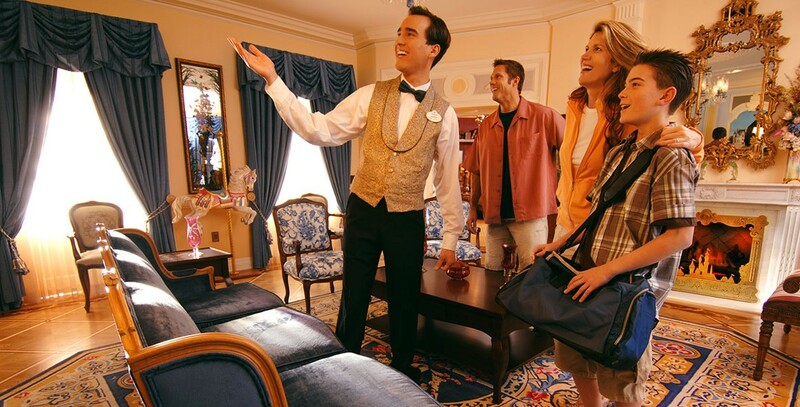 Later, the exclusive suite was awarded as a special prize for certain sweepstakes and events. Replacing The Disney Gallery, the space features a living room in French Provincial style, an open-air, Bayou-themed patio, and two master bedrooms—one representing the spirit of the American frontier and early 20th-century innovation, and the other evoking the exotic flavor of jungle adventure stories as told in the Victorian era. Special decor pays tribute to the many inspirations for Disneyland, and special effects help bring the rooms to life. Art director Kim Irvine closely followed renderings designed by Dorothea Redmond when the space was originally conceived as a suite for Walt and Lillian Disney. See also Disney Gallery, The.